We Live In A Political World: #25 / Those Digital "Super States"
#25 / Those Digital "Super States"
Julian Assange (pictured above) is the founder of Wikileaks. Both he and Wikileaks get mixed reviews. 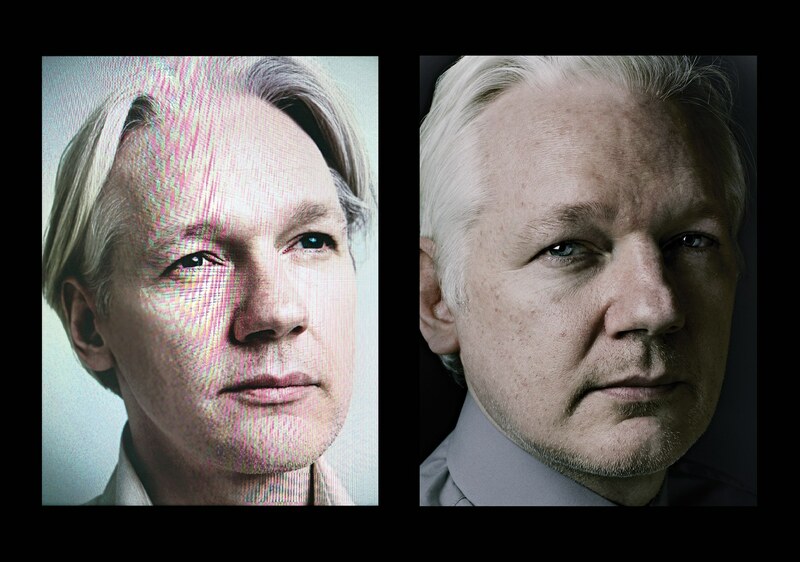 A profile in the August 21, 2017, issue of The New Yorker, for instance, "Julian Assange, a Man Without a Country," has both good things and bad things to report about Assange. I was struck by a recent blog posting by Caitlin Johnstone, "Assange Keeps Warning Of AI Censorship, And It’s Time We Started Listening." 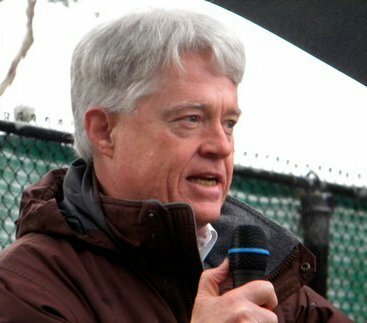 Johnstone is a self-described "rogue journalist," and is a radical voice on the progressive side of the blogging spectrum. She doesn't have much use for establishment Democrats, and evidences some periodic sympathies for the Trump "base." She is not everyone's cup of tea, in other words. First, Assange thinks that Google and Facebook are "digital super states," which he ranks right up there with the Chinese government. 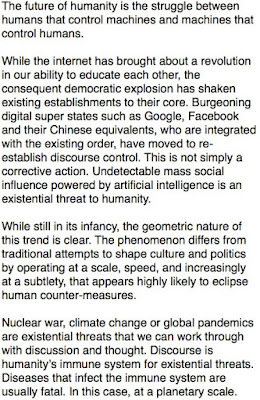 Second, Assange says that "discourse" is humanity's immune system for existential threats. I, personally, think Assange is right on target on both those observations!